The Andorra national rugby union team, nicknamed Els Isards (which is a Pyrenean Chamois) represent Andorra in international rugby union competitions. They are currently ranked 61st out of 100 Rugby playing nations by the International Rugby Board (IRB). They play most of their home games in Andorra la Vella, the country's capital, though have had some matches in Foix, which is in France. They compete in the European Nations Cup, and are currently in the second division. As well as playing numerous friendlies they have also taken part in the qualification stages of the Rugby World Cup, competing in every tournament since 1995. Andorra played their first rugby international in 1987 against Luxembourg. Andorra won the match 24–3. Andorra first tried to qualify for the Rugby World Cup in 1995. They competed in the preliminary round in the west group of the European qualification. They defeated Denmark, but lost to Switzerland, and were knocked out. Andorra also attempted to qualify for the 1999 Rugby World Cup. Andorra started off in Pool 3 of Round 1, and won all four of their fixtures, finishing at the top of the final standings to advance through to Round 2. However they were then knocked out of qualifying after Round 2 coming last in a five team group. They competed in Pool B of Round 1 in attempting to qualify for the 2003 World Cup, but did not advance to the next stage coming third in a six team group. The 2007 tournament saw many more fixtures and gained the small nation some greater publicity by playing in the first match of the tournament, beating Norway 76–3. They won a 2 leg match, came third in the ensuing five team group thus qualifying for a further 2 leg playoff, victory in which led to a further five team group in which they were last. Competing with the more populous Moldova, Netherlands, Spain and Poland, having beaten Norway, Hungary, Slovenia and Sweden certainly brought Andorra to the attention of more rugby followers, all in spite of a small population of just 70,000. 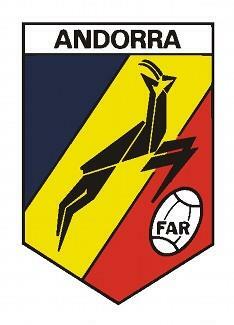 The popularity of football in Andorra has been on the decline due to a poor record at home and away. This has left room for Andorran rugby to rise out of the shadows. Mainly affected by the fanatical popularity of rugby in southern France, Els Isards continue to impress on the international stage. This has led to the rapid increase in the number of registered players in Andorra. Many are now suggesting that rugby in Andorra has grown to such an extent that it has now become the tiny nation's national sport. As well as a men's 15 aside team, the men have competed in the European Sevens competition since 2005. In 2005 they won promotion to the next division and in both 2006 and 2007 made the finals of the competition. Also Andorra have a women's set up. They have only played sevens so far, competing in 2006 and 2007. Youth rugby in Andorra is less developed and has to date only consisted of training camps. Andorra have played friendlies, FIRA competitions and World Cup Qualifiers. The full results list including details of unplayed games can be found below. The various game types can be summarised as follows – note that unfulfilled and defaulted games are NOT included in the analysis although they do count towards the game count in the full list. Also if a game has been both a World Cup and FIRA game then it is only recorded here in the World Cup figures. Defaulted games (3), unfulfilled games (5) and non-Internationals (3) do not count towards the match tally. To date Andorra (men) have played in fourteen International Sevens Tournaments (WC Qualifier 1996 (1 round), WC Qualifier 2000 (1 round), FIRA-AER 2003 Qualifiers (1 round), FIRA-AER 2004 Qualifiers (2 rounds), FIRA-AER 2005 Qualifiers (2 rounds), FIRA-AER 2006 Qualifiers (2 rounds) and Finals, FIRA-AER 2007 Qualifiers (2 rounds) and Finals, FIRA-AER 2008 Qualifiers). In FIRA-AER, each year a number of tournaments take place across Europe and each nation takes part in two tournaments to decide on a final 12. In 2007 Andorra were joint 12th with Croatia but qualified on points difference. The FIRA-AER qualifiers have seen placings of 5th (5 times), 4th (1 time) and 3rd (2 times). Both appearances in the finals have seen 12th (last) but notable teams have failed to qualify. The following 20-men squad was announced on 29 May 2008 for the WCQ tournaments. There are only limited records for Andorran youth rugby. A training camp (with Spain and Portugal) took place in 2001/2002. A similar camp took place at Tarazones from 7 to 12 April 2006 with 23 players and 3 coaches attending. These are both for Under 17s. A camp is planned for 14 to 19 March 2008 in Spain, with Spain and Portugal. This too is for under 17s. Andorra took part in the 1996 Junior World Cup (winning group C) and also took part in the pre-classification stages in 2000. The 13 years group saw Andorra with 15 players, Pamiers with 20 and Couserans with 30. The 15years group saw Andorra with 15 players, Pamiers with 16 and Couserans with 26. Not counting youth training camps (which are mentioned in that section) and hosting tournaments, Andorra also endeavours to be involved in non-playing activities.